In addition to its process conditions, the actual flow capacity of a given PRV is driven by the combination of two design elements: the actual orifice area and the coefficient of discharge. Both of these elements are determined by the individual PRV manufacturer�s design and are certified by National Board. 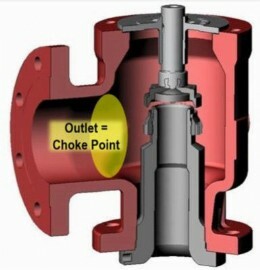 When a PRV has an exceptionally large orifice area and the discharge is not large enough to accommodate the expanding gas, the outlet can become �choked.� This can lead to built up back pressure which is greater than 10% of the valve�s set pressure. This phenomenon is called �Body Bowl Choking� and it may cause valve instability, exhibited in chatter, flutter or galling on the disc and stem. There are many reasons why a PRV might chatter, so diagnosing and correcting body bowl choking requires a detailed review of the PRV sizing calculations and consideration of the piping hydraulics, especially the PRV�s back pressure. 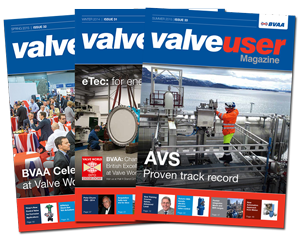 Bigger is not always better Potential hardware solutions to correct body bowl choking include restricting the lift (if that option is available) or switching to a balanced design relief valve, such as bellows or pilot operated relief valves.